Welcome to Optimum Health Clinic! Located in the heart of Wheeling, the leading health professionals at Optimum Health Clinic are dedicated to helping you achieve your health objectives -- combining skill and expertise that spans the chiropractic, physical therapy, rehabilitation, and sport medicine spectrum. 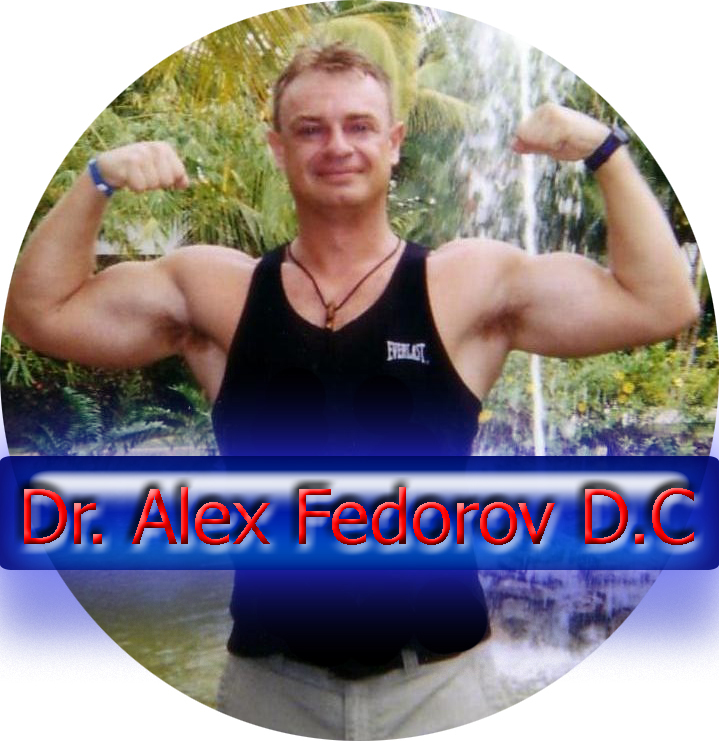 Dr. Alex Fedorov is committed to bringing you better health and a better way of life by combining the most effective treatment techniques from conservative and manual medicine. 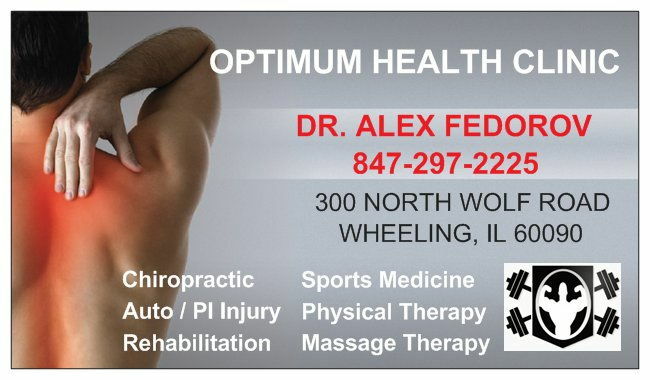 Patients seeking treatment at Optimum Health Clinic with Dr. Alex Fedorov are assured of receiving only the finest quality care through the use of modern chiropractic, and physical therapy equipment and technology. Dr. Fedorov and the staff have a genuine concern for your well-being, each personalized therapy designed to locate and eliminate the cause of pain - not just the symptoms! A critical goal at the Optimum Health Clinic is not only to alleviate the cause of pain, but through a program of muscle strengthening, nutrition, and rehabilitation the prevention of injuries and re-occurrence. Dr. Fedorov excels in the diagnosis, therapy and rehabilitation of joint pain, sport injuries (ankle, knee, and shoulder), and motor vehicle accident (whiplash) rehabilitation in addition to back pain therapy. It's Your Life... Live it in Optimum Health! Optimum Health Clinic is the leader in spinal decompression therapy and spinal traction therapy offering back pain relief to Chicago North Shore Communities of Wheeling, Arlington Heights, Mount Prospect, Prospect Heights, Lake Bluff, Lake Forest, Lake County, Lincolnshire, Deerfield, Buffalo Grove, Mundelein, Northbrook, Highland Park, Long Grove, Des Plaines, Palatine, Libertyville, Glenview, Highwood, and Northfield IL. "I have been seeing Dr Alex for several years and he has the knowledge and equipment to get you feeling better. I'm very physically active at 55 and the only way to keep up with it is to regularly work out with him. Any aches and pains are immediately treated to get me back to doing what i love. I highly recommend his services to you!"